Well, we are going to get one. But then another problem came up. Newer Blu-ray movies are in sound formats that our receiver can’t decode. The standard formats are Dolby TrueHD and DTS-HD Master Audio. Even newer than that are Dolby Atmos and DTS-X, which are more directional sound formats than traditional surround sound. A favorite YouTube channel of mine, TechMoan, has a great video where he installed some Dolby Atmos speakers in his living room, and explains Dolby Atmos as well, you can watch that at this link. 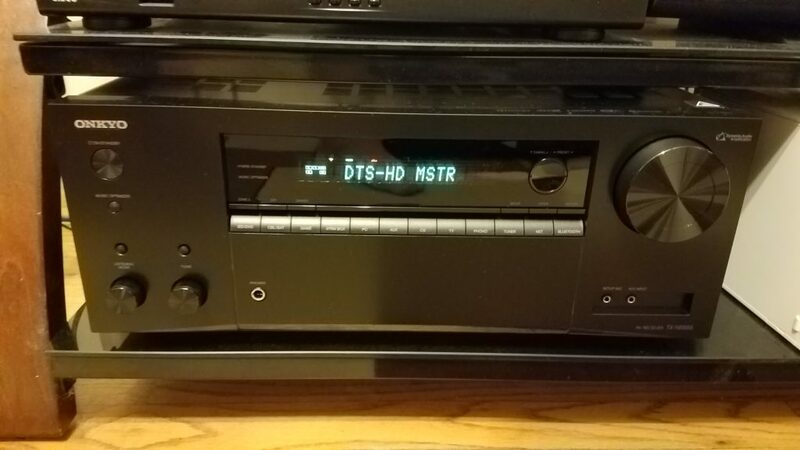 That’s a Sony STR DG-810. It’s actually capable of 6.1 channels, you could add a surround back speaker to the mix. 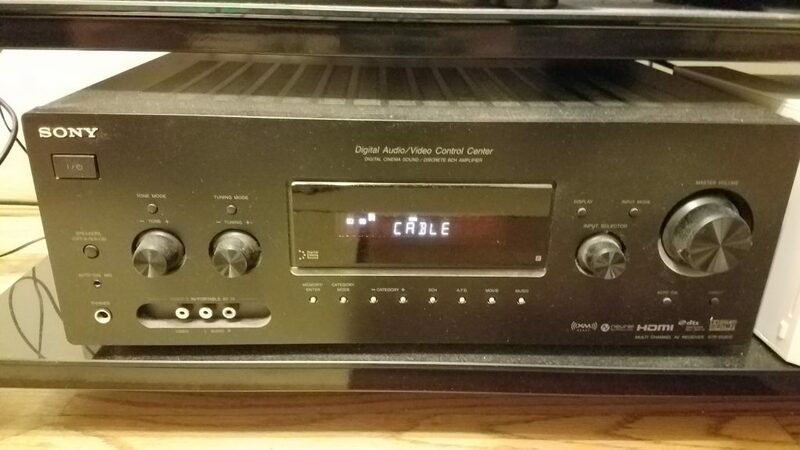 It’s a good unit, we got it from someone here in Knoxville via Craigslist for only $75, at a time when a very old RCA receiver we had started emitting very bad ground loop noise. In a very strapped budget mode, it was a good buy at that time. Let me tell you, this receiver is sweet. It takes a complicated setup of several devices in our home theater and lets us run it through one unit. It eliminated a whole bunch of cables from our wiring. That is a major fringe benefit. It’s very convenient to be able to do that. Watching CE3K with the true DTS-HD Master Audio is like night and day. Particularly when you hear alien ship flybys. The whooshes in surround sound make it very real, like you are really there. I am very happy with this purchase. It was about time that we upgraded! Maybe someday, the price of 4K will come down enough to where we might consider that purchase. Probably not for several years, at least.